Interested in bringing a live (!) TeachingAuthor or two, or even all six, to your school, library, or conference? We’ve got you covered! We even present internationally. We're also available for virtual visits via Skype. Our writing experience includes all formats (picture book, early chapter book, middle grade, young adult, short story) and a multitude of genres (realistic contemporary fiction, historical fiction, fantasy, poetry, and non-fiction) as well as newspaper, magazine, and screenwriting. 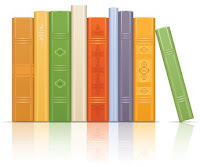 Our work has received numerous awards, starred reviews, and placement on state, library, review journal, and bookstore lists of recommended books. presentations to audiences of all sizes at schools, libraries, and state and national professional conferences. From left to right: Mary Ann, Esther, JoAnn, Carmela, and April. Tenth Blogiversary! Poetry Friday! Book Giveaway!